As Pakistan makes efforts to switch from a low growth to a high growth trajectory, the business community will have to take the lead role, particularly for promoting exports and generating employment. The retail sector, in particular, needs to undertake an innovative role as it seems to be in a consolidating phase in the midst of economic challenges currently besetting the country. In a recent business confidence survey, the Innovation and Technology Centre (ITC) of the Lahore School of Economics found that a majority of firms reported growth in their sales, including domestic and export sales, as compared with last year. The survey focused on measures needed to tackle the deterioration in Pakistan’s trade deficit. Data was collected from April to June 2018 from 550 firms associated with a variety of economic fields. Of the three major sectors, the manufacturing sector outperformed others in terms of financial performance, which was critical for economic growth since it accounted for almost 25% of Pakistan’s gross domestic product (GDP). 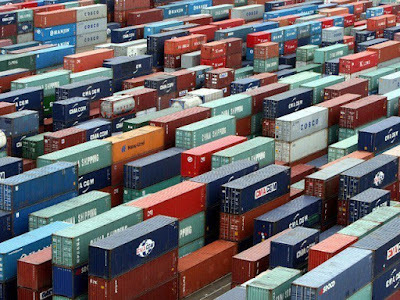 In order to address the balance of payments problem, the survey also looked at the trend of exports over the past few years and what steps could be taken to boost shipments to overseas markets. When asked about the factors that could boost exports, a significant number of firms pointed to technology upgrade, government subsidies, promotion of high value-added goods exports and uninterrupted electricity and gas provision as the most important factors. The survey results also indicated that export destinations were limited (with most exports going to Asia, South Asia and Europe). This strongly implies that the exporting firms need to explore newer markets for their products and services in order to optimise their role and share in international markets. On the investment side, the survey results showed that firms across sectors slowed down in terms of level of investment, bank borrowing and business growth. Finally, the firms attributed the drag on economic growth to inconsistent and cumbersome policies, regulations and taxation by the federal and provincial governments. They felt that while regulations and taxation were important, they must account for the needs and requirements of the business community.